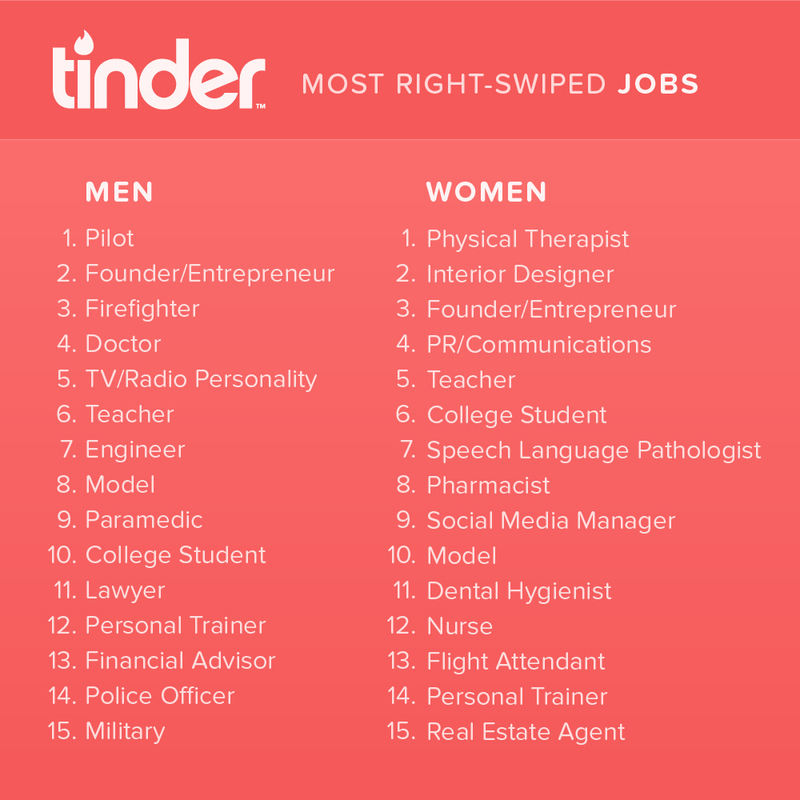 Tinder, the dating/hook up app, has put together the jobs that most often resulted in its users swiping right, or showing their interest in a person's profile. You might suppose that people in highly paid positions would generate the most interest. You would be wrong. For men, the number one most attractive job to its users was airline pilots. This was followed by Founder/Entrepreneur, Firefighters, Doctors, and TV/Radio Personality. If you look at the list of interesting men, you'll see that there is more interest in men in uniform than highly paid professionals like doctors and lawyers. The old adage that women love men in uniform certainly applies to the Tinder universe. What qualities in women do men want to get to know more about? Sorry lady doctors, but men just aren't that into you. Whether female physicians intimidate men with their higher income or superior intellect it's hard to say. 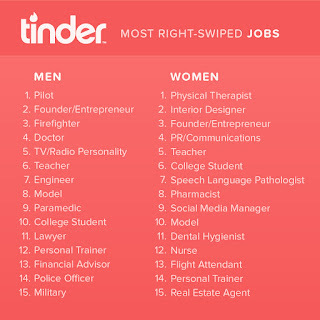 But physicians don't even make the top 15 professions that male Tinder users want to date. Instead men are interested in women who make moderate incomes or show a modicum of physical fitness like personal trainers or models. So if you thought becoming a doctor will help you attract a mate, you'd be wrong. Unless you are Patrick Dempsey or George Clooney, having an MD in your name won't help you as much as the ability to look good in a uniform.